The United States Department of the Interior issued a notice late last month signaling its intent to “jump-start development” in the National Petroleum Reserve in Alaska (NPR-A), part of a 23-million-acre stretch of oil-rich natural habitat that makes up the largest tract of undisturbed land in the United States. The Washington Post reported that it will take “about a year” to create a new plan for extracting oil reserves from NPR-A, according to Joe Balash, assistant secretary of land and minerals at the Bureau of Land Management (BLM). The 11-million-acre NPR-A site represents roughly half of a larger wildlife refuge originally set aside by President Warren G. Harding in 1923. It also falls within the ancestral homelands of the Gwich’in Nation of Alaskan Natives, an indigenous community that uses NPR-A lands to hunt porcupine caribou herds that frequent the area. 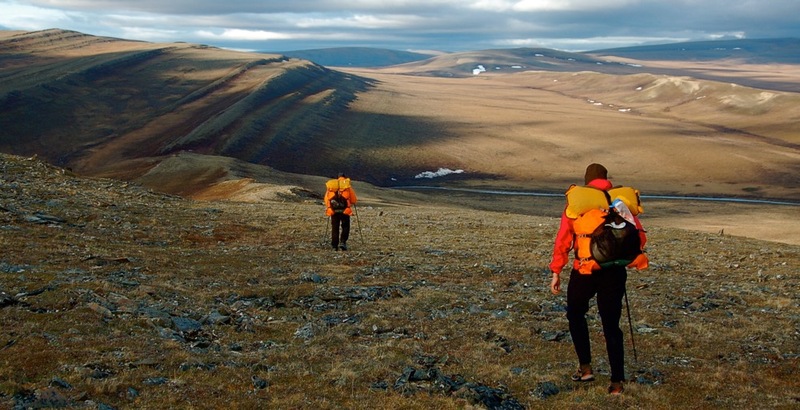 The preserve represents a vital habitat for the porcupine caribou that use the area to birth and nurse their young, and for the many migratory bird species that roost in the region over the summer. It is estimated that NPR-A and surrounding tribal lands could hold up to 8.7 billion barrels of oil and 25 trillion cubic feet of gas. BLM has started a 45-day comment and review period for the proposed plan, which comes after new oil and gas auctions in Wyoming, Montana, and Utah, according to reports. Those efforts follow President Trump’s downsizing of the Bears Ears National Monument in Utah, which President Obama previously had increased in size, and come on the heels of a new federal mandate that calls for oil drilling in the Alaska National Wildlife Refuge (ANWR) to the east of NPR-A, as well. The increasing scale and rapid pace of resource extraction under the Trump Administration represent the culmination of a nearly 40-year effort to open these lands to exploitation and comes as the administration scrambles to set into motion a last-ditch move to negotiate lucrative land leases with private parties. Once those leases are set, it will be harder to prevent resource extraction in those areas, even under a different administration, so current officials are racing against time to sell off the rights in the event voters do not re-elect the president in 2020. This admittedly short-sighted effort is representative of the administration’s push to refashion the Department of Interior into a broker between the federal government, which controls millions of acres of pristine but resource-rich lands, and profit-driven private industry. The trend also represents a larger belief that business interests run ahead of environmental concerns, a priority that was highlighted over the weekend as the United States joined Russia, Saudi Arabia, and Kuwait in rejecting a 2017 report from the United Nations’ Intergovernmental Panel on Climate Change (IPCC) that calls for “rapid, far-reaching, and unprecedented changes in all aspects of society” in order to reduce the amount of global temperature rise associated with anthropogenic climate change.